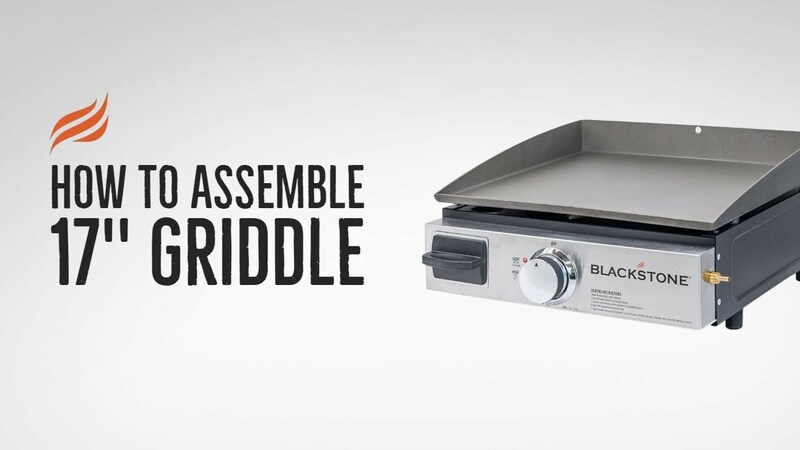 The Blackstone Gas 17'' Tabletop Griddle is ready for any occasion. Easy to carry and take to the tailgate, campsite, and wilderness. Fast heat-up with 12,000 BTUs to cook anything, anytime, anywhere. Burgers, hot dogs, steaks, stir fry, bacon, and more! The “H” style burner provides even heat distribution for optimal cooking across the whole griddle. Impress friends and family with delicious food without the effort. Stays level on any surface, from grassy hills to muddy terrain so you can cook up meals without the stress! Can't get any better!I have owned my 17" for 2 years and use it 3 to 4 times a week. Just added the hood and "BAM", can't get any better! I also own the 36" with surround table for larger events. 52 years in restaurants and have not seen better products for home or small food business use. Great job Blackstone..
questionwould like to use and keep on our boat which is on the ocean (salt water=salt air). says the front plate is stainless steel, how about the rest of it? would like it to last without coroding too soon. The rest of the base is powder coated steel. I believe in the manuals it says you should not use gas products on a boat but as for the rusting, the powder coat holds up really well. The griddle top needs to be seasoned well initially and frequently oiled after each use. That will help keep it from rusting. I would definitely recommend the hood as well. WorkmanshipI've been told twice by Blackstone that the attached photo is acceptable quality from them. I know it's only cosmetic and should work perfectly but not sure what their workmanship warranty covers. Or if they'll actually cover any future failure. Bad experience dealing with their customer service. So unless food or grease rolls off the griddle this is quality workmanship to them. Grille top wantedI have the 17"griddle and am looking forward to using it while out camping. Would be nice to be able to get an optional grill top with flame saver. We feel that anything a grill can do, our griddle top can do better. I will pass your suggestion along to our R&D team, however, we are very much believers in the functionality and variety offered by the griddle top. i.e. full sear, no flare ups, no food falling through grates, flavor from cooking in foods own juices, no loss of juices from food, etc.